"Evite is an excellent way to send invitations without the hassle of using old fashion mail. " Evite keeps up with who responds and who opened the mail, etc. Customizing your invitation is also a great feature as well as the option to send reminders. I also really like that it kicks back bad email addresses and saves all our past invitations. I use Evite for our professional monthly minister's networking meeting. Over 200 invitations go out once a month from Sept - June so this is a great way to keep up with email addresses, phone numbers and to see who actually responds. There are other free vendors however I stay with Evite because of these options. The ad's that pop up when people open the Evite can be annoying and it sends the Evite to people's spam & junk. They don't see our messages especially on their phones. I love using Evite but it's time for them to listen to their customers and consider some serious upgrades in order for them to keep up with other free competitors. Evite should really consider these upgrades...option to disable the RSVP, single spacing & more font options for the host message box, the ability to upload better quality & larger pics and GIFs (it crops most of the pic out! why, why, why???) and be able have more customization options for the pic/GIF (such as combing more than 1 pic). Please add more professional looking designs, these are cheesy. I always have to design my own and that option is limited even with the Premium account so why pay?.......Please remove rid of the spam ads or put them at the very bottom so that guest can actual see the message! This is a great and easy product for sending & keeping up with invitations. I've searched others but this has more features just less graphics & designs but you can customize. Not having to mail letter invites is perfect and using Evite really helps with keeping up with the guest list. I can sort it, copy, then paste it to a spreadsheet. When the people arrive, I can check them off on the spreadsheet I printed. After every 3 meetings, I can easily delete those that never come or reply. 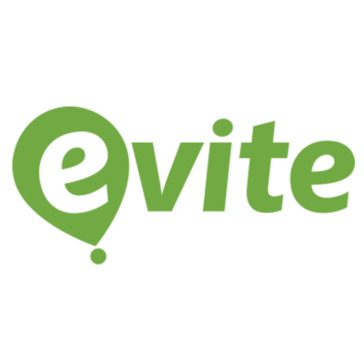 "Evite is a great way to get the word out about all of your events! " I love how easy and useful Evite is! As a marketing assistant I am in change of organizing events, not only for employees, but for our industry partners as well. Evite makes it easy to get the word out about upcoming events while also managing the guest list directly from the site! It’s another thing you won’t have to worry about and we can all use those! There is nothing that I dislike about using Evite. The only difficulty that I have run into with using Evite is that some of the invites sent out to our partners are never opened due to being sent to spam. My industry partners communicate through email a lot, so it is easy for them to miss an invitation that comes from an unknown site sender. It has taken away the concern and worry that comes with planning an event. Also, all members in our department can see and manage the list so it is a lot more organized! The ease of use and hundreds of templates make evite the place to go for event planning! I wish there were more customization options on some templates, but overall it's not a deterrent. We have used evite for launch parties in different states for 2 of our products, and it has worked wonders. It makes organizing an event from hundreds of miles away loads easier. Has a variety of templates to choose from and easily tracks guest attendance. Gives a great snapshot of where your guests stand in terms of status. Easy to e-mail only the attendees, or only those who have not responded to follow up and send reminders. Once you choose a template, there is limited customization to the formatting. I would have liked there to be more sorting functionality. You couldn't sort the guests based on response on the website, you had to download an excel to do advanced sorting. Easy to track attendance of all guests. Easy to send reminders to guests and filter whether they have RSVPd or not. Evite makes it pretty easy to monitor responses to an invitation. It has a decent selection of invitations to choose from and best of all, it is free to use. It has become too bogged down by ads and additional emails trying to encourage additional involvement. -- I didn't want to send the thank you notes for that event the first two times you offered it to me, thanks. -- It's also started to appear in junk mail folders, which is concerning when we want to make sure that everyone receives their invitation. There are better, prettier alternatives, which have nicer features, that I have been turned onto, though. It works well enough, but there are better options that are still free of charge. Occasionally, we host events for local administrators, alumni, and for our students' diploma ceremonies at the end of each year. Evite is a simple way to share an invitation with students and have them share with whom they would like to invite. It's also easier than sending paper invitations, and saves trees. People are more likely to RSVP in a timely fashion and you can send messages to your guests as needed. "Party planning to the max"
The ability to customize and make invitations personal is the best thing about this platform. Additionally, I as well as all my friends have been using it since it first came on to market so it definitely has that familiarity of brand recognition. The lack of being able to truly make multimedia rich invitations such as embedding music and videos to really make the virtual card come alive. Other services provide this so I'd like to see Evite outshine the others since the service is great already. If you are looking to easily manage events with large number of guests in a formal or informal manner, Evite is a simple solution that offers users creativity and customizable features to get your event headed in the right direction. With a familiar name and long time on the market, it is easy to see why everyone considers this as one of the premier event tools for gathering information and inviting guests. Party planning for any type of gathering be it a wedding, bbq party, graduation, or something else can be a drag and becomes a chore. However Evite more than simplifies the process and keeps you sane and organized. You can quickly get people invited and monitor RSVPs for guests in addition to keeping all info related to the event centralized. "Shamelessly sends spam not initiated by event organizer"
The service works ok. Nothing really stood out. The best thing is Evite was first so it paved the way for newer better services. "Super easy way to invite people to an event "
nothing to really dislike - potentially limited designs of invites to send out as you need to preselect from their designs, but they are pretty nice to begin with. 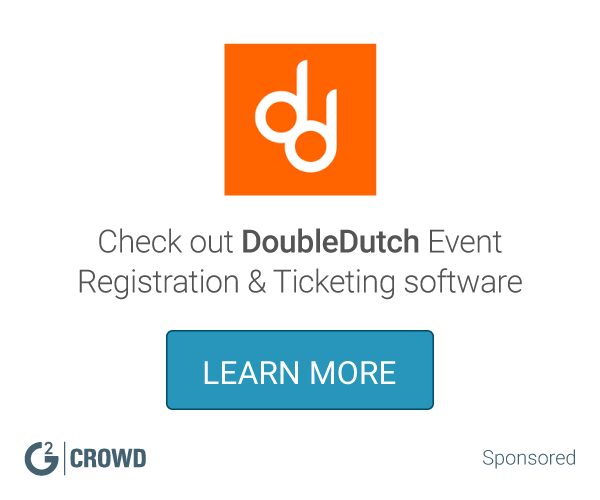 Highly recommend for an easy and intuitive way to invite and track attendees to an event! solving the problem of inviting a large number of people to an event without having to send out psychical mail - huge time and resource saver as well as money saver. Evite is easy and effective to use. You can view the guest list, view the invitation and there is even an activity tab, that allows people to post their responses or relevant information about the upcoming event. once you sign up for something on Evite, you end up getting tons of emails from them. Evite is an effective way for people who are planning events to allow their participants to RSVP. There are free and premium options available. Evite is an effective way for people who are planning events to allow their participants to RSVP. "Convenient application but some flaws"
The best part of Evite is that it's simple to sign up and use. I can add my contacts fairly easily. If you're considering Evite you should be aware of your audience. It's relatively simple to use but some users may find the platform distrustful or spammy. Evite is useful when I need to send a invitation to an event to many people. Unlike using the invite features on my regular business email platform, Evite seems to be easy to use for users across multiple platforms. "Easy to use and creative templates"
You can make any type of party or get together invite look professional, fun, and in a creative way. Adds an extra special touch to family, friend, or work event. I also like that you can upload emails and it will save ones that you have previously used. I wish that there were more free templates but I understand they are a business and have to make money somehow. Perfect for any work event and you don't have to spend extra time creating something from scratch. We use them for fun work happy hours or birthday celebrations. The invites look way better than just sending a text email. It adds a little more fun and creativity to whatever we are celebrating. Its simple and to the point. - With options for everything and anything . I personally have used this a few times and have not come across any issues/ dislikes. Give it a shot!! It's definitely worth one's while, on a professional and personal setting! AND it links it calendars (ical, outlook, google, etc). Organizing Event invites within the organization and outside. Rather any just sending and email with a Clip Art or image, Evites help make is look more formal. It's is also cost effective and time-saving. in a couple of click invites are sent, compared to physical invitation when you have to get them in the mail and then mail them out (stamps and time). I love how easy it is to create an event, add people to invite and edit the information. There really should be more features to customize. Maybe uploading your own logos and back drops as well as additional fonts to use. This is a great way to get everyone an invitation digitally. There is no need for paper invites saving you money on postage and saving time. Incredibly easy to use - good selection of themes to choose from. There is a great deal of ads to get through - and I would like more customization options (yes - I know you can "design your own" with your own photos, etc. in the premium options - but I would like to be able to truly build my own). Look - there are fancier options out there - but evite is SO easy to use that the other options just don't seem worth the time. This has been a great, quick and easy tool for sending out last minute or casual happy hours, soft launches, and networking events, etc. "Evite is an easy way to invite friends/colleagues to a party!" Paperless invites. Automatic reminders when we are getting close to our event. Holds onto addresses from previous events...making annual events easier to build and send out. I have had issues with time zones when using Evite on my mobile device. This makes it challenging to know what time an event actually is taking place. Test the invite first. Send out the evite to a friend or colleague so that they provide feedback/find typos. You and invite more folks once you have sent it out to your tester. I can send out an invite for an event without stamps! One of the most helpful features is being able to use a previous Evite as a template for a new event. This has saved tremendous time by not having to recreate a guest list from scratch! I like the ease-ability and the support I've received. Very easy for our customers to use as well. I dislike the advertisements that are constantly popping up and distracting me. I also wish the search function for finding a invite theme were easier to navigate and cleaner. I originally used this product for personal use--but after seeing how easy it was to use and how well people responded moved forward with using it for work as well. Much easier process for our invitees to RSVP and let us know that they are able to attend. Much cleaner and much easier to get issues fixed than using our in-house system. "Easy to use for free"
Some of the best designs have to be paid for, but I guess that comes with any product. There isn't much else that I don't like. I like this better than Paperless Post because you don't have to worry about tokens or paying for most designs. We are using this to invite people to an outside of work hours event or celebrations. "The de-facto standard for sending party invitations"
Evite is a great free tool to invite your friends for a party or an event. It has many designs to choose from for your invitation, although many options require payment. Their mobile version lacks polish. They really need to work on responsive design. Look elsewhere first. Evite feels old and their site is slowed down by way too many ads. Evite is super easy to use and everyone has easy access to its functions. Thus making the event planning easy and quick! Options to upload photos from Facebook? Easy planning with just emails and not any other social media account links.. thus you don’t need to be connected with anyone to invite them. Also the rsvp option makes it easy for headcounts. Evite is an electronic invitation service that tracks all your guest responses for an event. Evite should be able to handle more emails than it currently allows. Evite is an all-in-one invitation management tool that can be used for handling small intimate events to large fundraisers. The platform is easy to use, track responses and keeps emails for future events. "Good for small get togethers"
everyone can see who is invited and if they've responded. It is hard for other people to figure out how to add another guest to the list. I wish that they displayed a map and directions on the page if you put in the address. great for small parties, or if you want to have it shared. Evite works great for small get togethers, such as a sip n' shop. It enables others to share and get the word out. "Very user friendly and helpful!" Premium looks like it offers some great services but unfortunately those extra services cost. Easy to track numbers, also we had had issues in the past with announcing and event, getting RSVP's and then people forgetting about the event as it gets closer. Evite sends a friendly reminder as the event approaches which keeps our attendance up. i guess, nothing. it's a great app for all sorts of event management. The themes: it makes it more fun to engage with the invite and I also like adding photos to the reply once I've completed. I wish there were more comments available/ways to get people more excited about the upcoming event. Once they RSVP little else happens until the final confirmation/reminder. Creating more engaging ways to invite people to events outside of our normal clearance sales. More engaging topics allow us to play with creative, create a new destination for our customers. There is a ton of free invitation templates that we use in our organization to invite people to various non-profit events we hold. There is really nothing I dislike about Evite besides the couple of ads that pop-up on their website. I understand they need to make money though. Some companies block this site but ours does not. We save money by sending out Evites and most websites require you purchase an online template. Evites offers tons of free templates. It's more economical to use evite than send out paper invitations. It is familiar and clean in layout. It is also easy-to-use and follow. Making changes and navigating through the impromptu analysis can be slightly frustrating. Make accessing invite analytics easier, particularly for those that are not creating, but using the invitation software. I create and respond to electronic invitations. "Not bad but not the best"
I would like to have more options to design my own invitations and that the RSVP management tool was easier to use. We used evite to send invitations to the EOI graduation ceremony two years ago. "I can always count on Evite for quick and easy invitations!" I love how easy it is to access my email addresses. There are so many choices for templates and sometimes I still don't find the right thing. The free ads on the emails can sometimes be inappropriate for some businesses. I am unable to use it at the school where I work because they don't like alcohol ads and they cannot be controlled. It helps to reach a lot of people quickly and makes handling responses and reminders simple. This saves time! "Easy and organize way to plan an event"
The availability to invite friends, family, and/or clients to an event. There is nothing I dislike about the evite app. Easy way to organize and plan events for clients, family and friends. It's quick and easy and most people are familiar with the product and don't think the emails are spam. Lists uploads are cumbersome and difficult to manage across the organization, customization is limited. People are more inclined to use the product for personal purposes, it doesn't have a "professional" reputation. Reminding people of upcoming events and tracking potential numbers to relatively small networking events. This website was very easy to navigate. Lots of designs to choose from. Well designed. There was not a way to put multiple people in a party/household. Less paper waste, easy to reach clients. EVite is easy to use in our fast-moving world. People love getting the cute EVite e-mails. There is nothing I dislike. It is effective, easy to use & I always get my RSVPs. Easy to use, variety of invitations to suit any gathering. I was able to connect with our remote workforce & invite them to a Breakfast with the Boss. After the meeting they walked away with increased company knowledge and enjoyed face time with their peers & boss. "The free event RSVP app - a standard for everyone"
It's free, quick to set up, and pretty customizable. Good for everything from birthday parties to bar mitzvahs, dog meetup groups and even small - very small - scale corporate events. If you're looking for a polished, ad-free experience, evite might not be for you. However, if you're looking to set up internal, informal or personal-type events, it's worth a look. "Have used in the past, do not like the option with advertising"
Ease of use. Ability to make my invitations inviting and especially the ability to keep track of who is coming to an event. The last time I went to use Evite I noticed that there was advertising on my invitation, and I had the choice to use a non-advertising version for money. I am glad that I had this option. I used an Evite invitation to invite people to a baby shower I was holding. I have not used Evite for a business function. Organizing large numbers of individuals with very different schedules. No longer have large email trains with people responding if they can attend or not. I've used Evite for years for various reasons. We've sent out standard party invitations, used it for work functions, and to keep track of schedules prior to deciding an event date. i wish that comment notification settings were a bit more flexible. It's a quick, cost-effective and trusted way to keep track of RSVPs for events. "RSVP for Events made easy"
i use it to let people RSVP for an event. It has reminders, you can put the map in the invite. It's nice because a lot of people use it and are comfortable with it. We are finding that this tool is becoming outdated as new tools are coming in. we meet with clients to discuss their goals and host marketing / social media events. It doesn't require that someone has an Evite account to participate, and it reminds participants if they haven't responded. It's something that I would only use for personal use, not for business. It is not so much something that I use for business, more for personal, fun activities. "Helpful site can become difficult at times. " There are many options for event invites and customizing your personal look. At times there are too many notification options and can end up sending too many emails to your clients if you don't check it carefully. It helps give a template and eventual look to advertise your event. Honestly it depends on the event whether or not I would use the program again. Great way to target our prospects at at event specific, relevant level. Very hard to integrate a direct response model and see which users responded to what offer. make sure you map out segments prior to use, create specific campaigns per specific targets. Event based targeting for prospects. Broaden our customer base, new customer, wider demographic. That it is easy for people to accept invitations to networking functions using evite. * We monitor all Evite reviews to prevent fraudulent reviews and keep review quality high. We do not post reviews by company employees or direct competitors. Validated reviews require the user to submit a screenshot of the product containing their user ID, in order to verify a user is an actual user of the product. Hi there! Are you looking to implement a solution like Evite?